Lisa Winn has over 32 years of experience as a Sales and Rental agent at Maury People Sotheby's. After growing up in Weston, MA, and graduating from the University of Massachusetts in Amherst, she moved to Nantucket and began working in 'the family business', The Maury People. 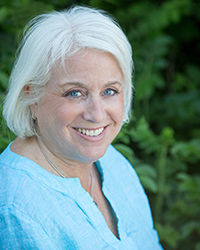 Her innate and intuitive skill in matching customers and clients to the perfect home to live in for a week or a lifetime has made Lisa one of the leading Sales and Rental brokers on Nantucket. Depth of knowledge of the Island sales and rental real estate market is but one facet of Lisa's success. Her patience and attention to detail are qualities that her clients, both homeowners and tenants have come to depend upon. As a result, Lisa's clients and customers are extremely loyal; having found a sincere advocate for their real estate needs, and this has produced a strong repeat customer base and an active referral network in both Sales and Rentals. Lisa was instrumental in the founding of our rental department. Because she has a keen eye for the needs of both the client and the customer, she has guided its growth and development since inception. Lisa also helped to design the Barefoot Rental computer program, which is utilized widely on Island, as well as around the country, by rental agents to book rental properties. Lisa enjoys traveling and spending time with her husband Eliot, with a great appreciation for the Islands natural beauty they can frequently be found walking the beaches or the many gorgeous Island conservation areas with their Labradoodles Chief and Captain. But Lisa’s favorite way to spend her time is watching her son Max, a recent graduate from Haverford College make his way in the world.